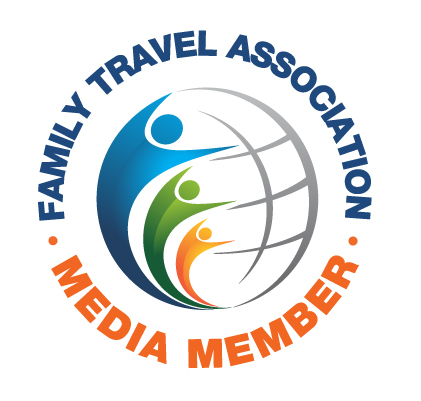 There is so much to do in Orlando, which is why so many families make it their vacation destination. Orlando is home to every theme park, water park, and shopping center you could ever want, but it lacks one thing - the beach! Luckily there are plenty of coastal destinations within an hour or two of Orlando. 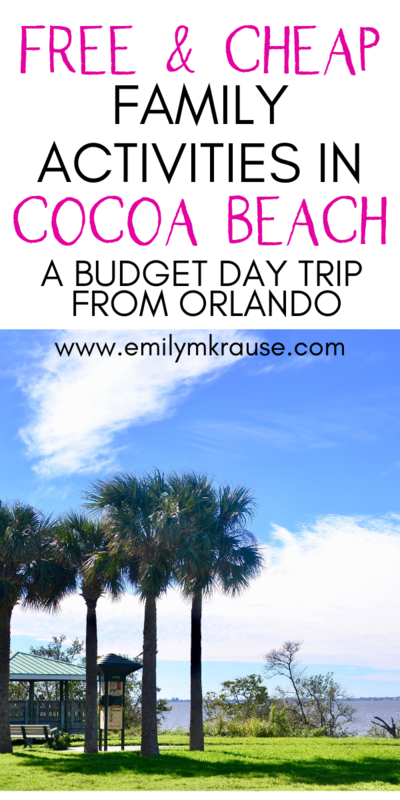 Cocoa Beach is one of the best budget day trips from Orlando. Cocoa Beach sits just 60 miles east of Orlando, making it easy to hop in a rental car and spend a day soaking up the sun and sand. But there's actually plenty more to experience than just the beach. And the best news? Many of these options are free or cheap. That's a win in my book. 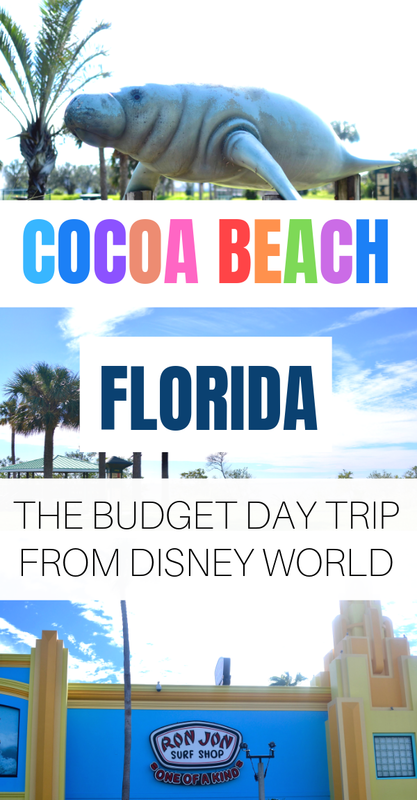 Here are some of the best things my family did in Cocoa Beach that I think you'll like, too! We have very young kids, and it can sometimes be hard to find activities that both the adults and the kids enjoy. I think we found a great mix of family-friendly activities here! Our first stop when we arrived in Cocoa Beach was the legendary Ron Jon Surf Shop. Though neither my husband nor I are actually surfers, it was fun to dive into surf culture and pretend we were living that laid-back life on the beach. It's so much more than just surfboards and wetsuits. There are t-shirts, souvenirs, jewelry, home decor, coffee mugs, and more. The store is two stories tall but the middle of the store is open and airy. Our kids were just as enthralled as we were, and we easily spent over an hour browsing. For those headed to the beach, there are plenty of beach essentials to buy there, and you can even rent surfboards, paddleboards, bikes, and other beach gear next door. It was a little too cold for us to go to the beach when we visited, but if you're visiting when the weather is nice, this is definitely a top activity. Check out Cocoa Beach Pier where you can rent fishing or beach gear, or grab a bite to eat. This is a really popular spot for surfers, so it would be really fun to relax in the sand while watching them "hang ten." The best beach in Cocoa Beach for families is Alan Shephard Park. Parking is $15, but you don't have to deal with meters, and you have access to picnic tables, pavilion, showers, and restrooms. Another great option is Lori Wilson Park which has less in the way of facilities but offers free parking and access to the beach. While we were driving in, we passed Cape Canaveral where all the cruise ships were coming in. I could see that being a fun option if you have little kids who love transportation. I've heard Jetty Park is the perfect option for that. Parking is $15 for the day, but there are concessions, pavilions, beach rentals, and a playground in addition to beach access. I'm always a fan of packing PB&Js, apple slices, protein bars, and crackers for lunch on-the-go. If you're like me, a picnic at the beach will do just fine. If you don't have food packed, here are a few great options for dining in Cocoa Beach. Located at the Cocoa Beach pier, this is a perfect option for casual dining and fresh seafood. Who doesn't love eating seafood tacos or sipping a cocktail with an ocean view? If you don't even want to change out of your swimsuits, just head to Sea Dogs for hot dogs or ice cream. Super affordable, super laid-back beach food. Perfect spot for a classic Floridian dessert - authentic key lime pie is served here, along with key lime yogurt pretzels, key lime milkshakes, and gator jerky. Plus the inside of the store is super cute - you feel like you've been transported to an island tiki bar! If you need a break from the beach, you can head over to Manatee Sanctuary Park in nearby Cape Canaveral. Parking and entrance are free, and you have access to a playground, a mile-long walking trail, and a small boardwalk where you can spot manatees gathering during the winter months. On the way back into town you can hit up Golf N Gator, a mini golf experience with live gators (fenced off, of course). 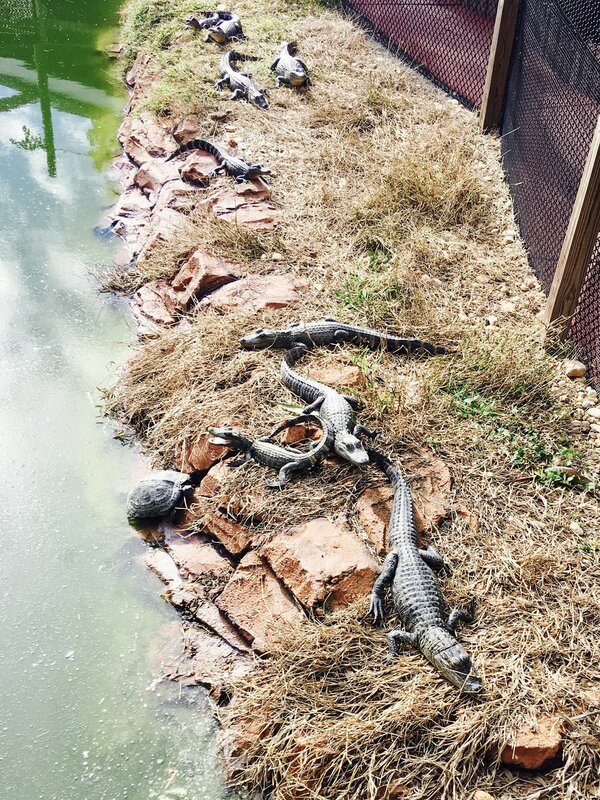 There are 2 18 hole courses to choose from, and after you're done golfing you have the chance to meet and hold live gators, snakes, birds, and turtles. It was an awesome experience, and even though our kids were a little young for mini golf, they still talk about how much fun it was. You can also check out the Dinosaur Store and the Museum of Dinosaurs if your kids love prehistoric creatures. The Museum of Dinosaurs costs $14 for adults and $10 for kids ages 3-11. Kennedy Space Center is located on Merritt Island just outside of Cocoa Beach. You could easily spend an entire day there learning about the Space Shuttle Atlantis, having lunch with an astronaut, and taking a bus tour to the Apollo/Saturn V center where you can see a real launch pad and vehicle assembly center. You can still enjoy this with very young kids, as there is a gigantic playground with a section for even the smallest astronauts. Definitely pack snacks for your time there, but know that you can also get meals at one of the restaurants located on-property. If you're making a day trip from Orlando, you might just be driving back in the evening to your accommodations there. If you want to make a longer side trip out of Cocoa Beach, I would absolutely recommend Westgate Cocoa Beach Resort. The two-bedroom villas are a great option for families with multiple children, as they feature a king bed in one bedroom, and a double bed and twin bed in the other. There is also a fully-equipped kitchen with refrigerator and microwave to save some money by preparing your own meals. Cocoa Beach is beautiful all year round, but if you're looking for swimming weather, April through October is probably your best bet. Cocoa Beach is almost always busy because of its proximity to Cape Canaveral, a huge port for cruise ships. Cocoa Beach is really the quintessential Florida beach town that's perfect for families with young children. 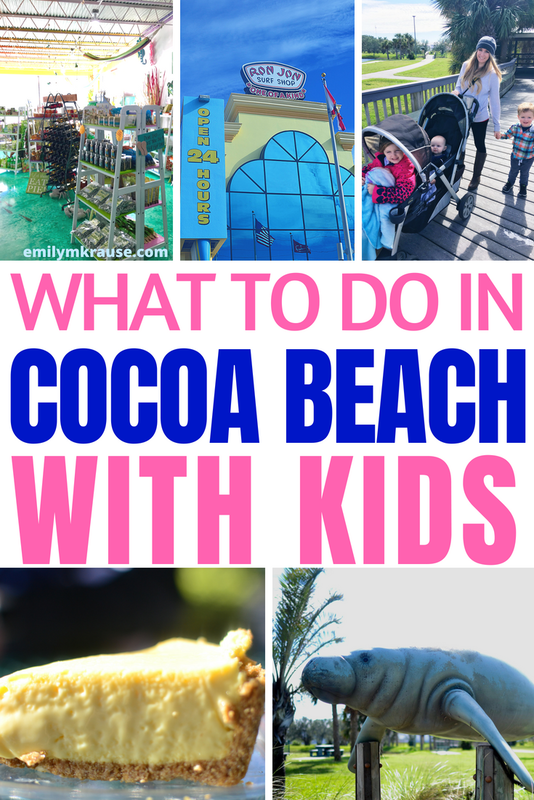 Have you been to Cocoa Beach? What are your favorite spots? Grab your free packing list downloads!